Only $3.99 in E-Book Format. Buy it today from Amazon. Hiring an employee should be a celebratory moment. Your church’s ministry is expanding. A new person is joining the team, with new strengths and new potential. Yes, the hiring process can be time-consuming and no one enjoys the New Hire paperwork, but this guidebook will help you make it through that paperwork efficiently. 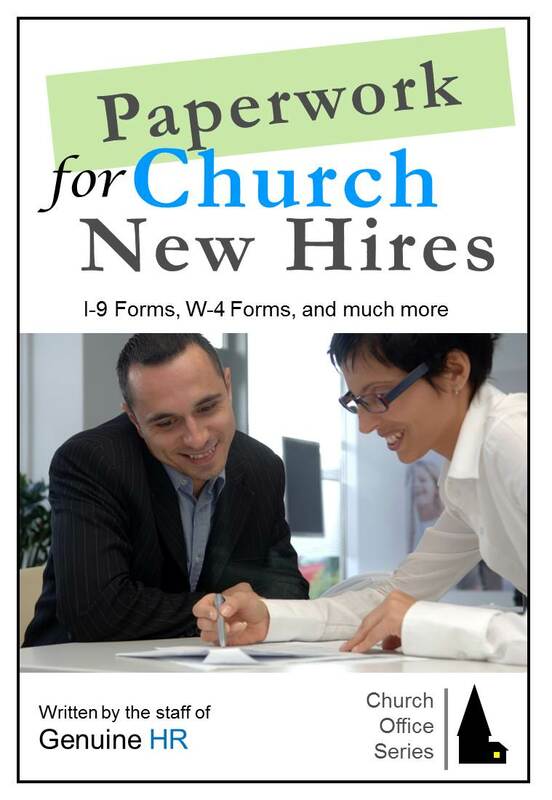 Handle all those New Hire forms correctly and start that person with professional confidence. CONTENT ADVISORY: This guidebooks is specific to US ministries only. Those outside of the USA will only find this book helpful if they have employees in the United States. Genuine HR is a trademark of New Wind Business Solutions. We at GENUINE HR appreciate your interest in our website and services.